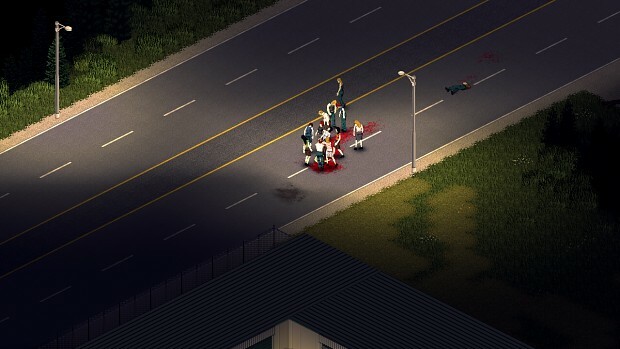 Project Zomboid 2.9.7 - Latest Build - PC - Zomboid build RC 2.5 version 7.
aww yisss muddafriggin Project Zomboid latest build. This is seriously becoming the best zombie survival game i have ever played it really gets the adrenaline going when an alarm goes off nearby and the sheer amount of zombies that follow. How do I install this exactly? It says its a patch so what do I do? I have same problem D: It just opens the game in Desura for me.. Same for you? Yeah, but when I just download and extract the file the loading screen is really weird. I think we will just have to wait until its on desura. When I click download on Desura or Mirror the window just crashes and leaves the page?I paid for it on desura the 5.99 euro one? this is a "public test build" so it's not an official release, I'm assuming they didn't release it on desura, because i can't install this latest version on desura either. if the download page crashes, it's probably the traffic. apparently there's a lot of people trying to get this right now. Uhh... Quick question, was I supposed... To be able to play this without buying the game? I was able to. I have no idea why. I've never updated the game before (I'm a total computer noob, don't know how to do anything), how do I install the update, is it as simple as dragging the file into the Project Zomboid folder? Use another browser or your internet connection is bad (i dont know your speed) or the server is sometimes have errors? why don't you put it on steam greenlight ? If you download the demo , like I did, from another site you might have to edit the batch file to remove the old jre6 for the new jre7. I will mod the poop out of this game after the fall semester.